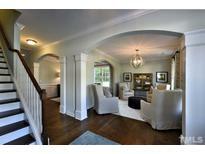 Find Apex, NC New Homes for sale. View Photos, Maps and MLS Data Now! Also included on the second floor is a olft, 3 beds and 3 full baths. MLS#2250249. 4692. 1/3 acre plot from your screened porch. MLS#2250175. 835. 3rd floor Recreation Room w Plumbed Powder! MLS#2250292. 639. Pool community in highly desirable Apex location on Green Level Church Rd! Ready September-October. MLS#2249991. 1565. Pool community in highly desirable Apex location on Green Level Church Rd! Ready August-September. MLS#2250000. 1565. East facing home site that backs to trees! MLS#2250064. 2714. Built in music system & tankless water heater included. Stop by model home! MLS#2250085. 2714. Varied width hand-scarped floors throughout 1st floor. MLS#2250103. 2714. Very private rear yard. Fireplace on Screen porch MLS#2249885. 1133. Screen porch has Fireplace and opens to large level rear yard. 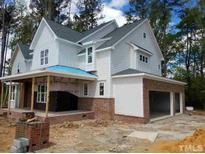 MLS#2249893. 1133. Custom patio, fenced yard, Custom trim work inside. Custom built closets MLS#2249898. 1133. Opportunities still exist to make/change certain selections. See onsite agents for details. MLS#2249907. 1886. There is also a formal, open dining room adjacent to the kitchen with a coffered ceiling & shadowbox wainscoting, and a study/extra bath. Plus much more. MLS#2249416. 835. 5 minutes to shopping and dining. MLS#2249547. 3789. Buckhorn's clubhouse has 2 saltwater pools, hot tub and fitness center. MLS#2249246. 3789. The second floor has the owner's bedroom with an extended large walk-in closet, 3 additional bedrooms, and a loft. MLS#2248919. 1369. One of the largest lots in the community. This is a must see! MLS#2248918. 1369. Stunning amenities coming soon featuring salt water pool w/cabana, clubhouse overlooking a natural pond with walking trail, raised garden plots in dedicated areas, playgrounds, dog parks, community play lawn, picnic pavilions, & more! MLS#2248929. 3789.